Primary aluminium producers have to continuously improve their emission levels to meet the most stringent environmental regulations. They must treat pollutants emitted during the electrolysis process, such as HF, due to the adsorption process of fluorine by alumina, as well as PAHs and dusts emitted during the anode baking and manufacturing. Gas Treatment Centers (GTC) aiming at capturing alumina and recycling the fluorine emitted by electrolysis pots during aluminium production process. 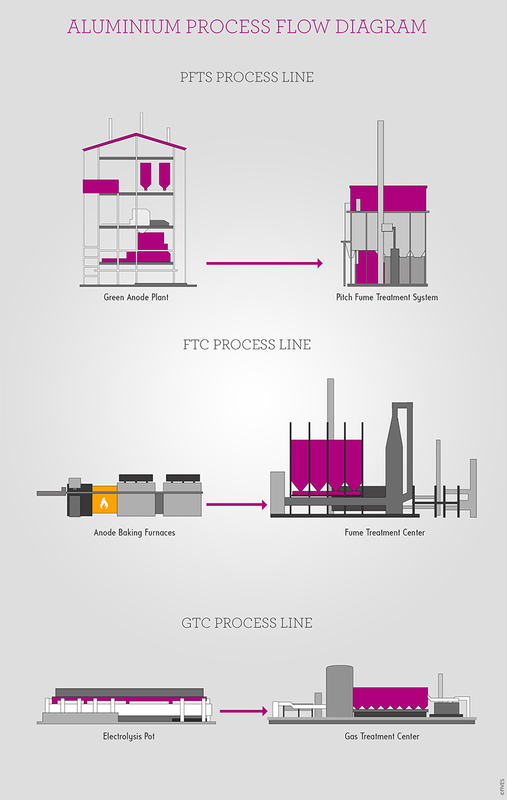 Fume Treatment Centers (FTC) offering high-end performance in line with the most stringent environmental standards for all pollutants emitted by anode baking furnaces (PAHs, benzo(a)pyrene, HF, tars, etc.). 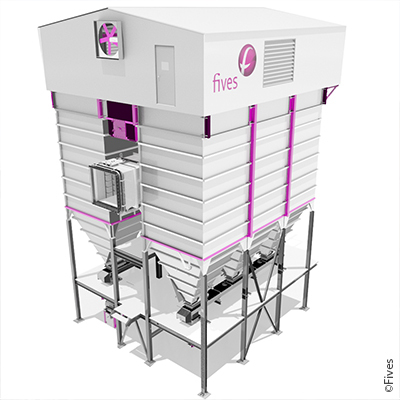 Pitch Fume Treatment Systems (PFTS) at the Green Anode Plant (GAP) aiming at limiting operators' exposure to PAHs in the working area and at complying with the most stringent environmental standards. 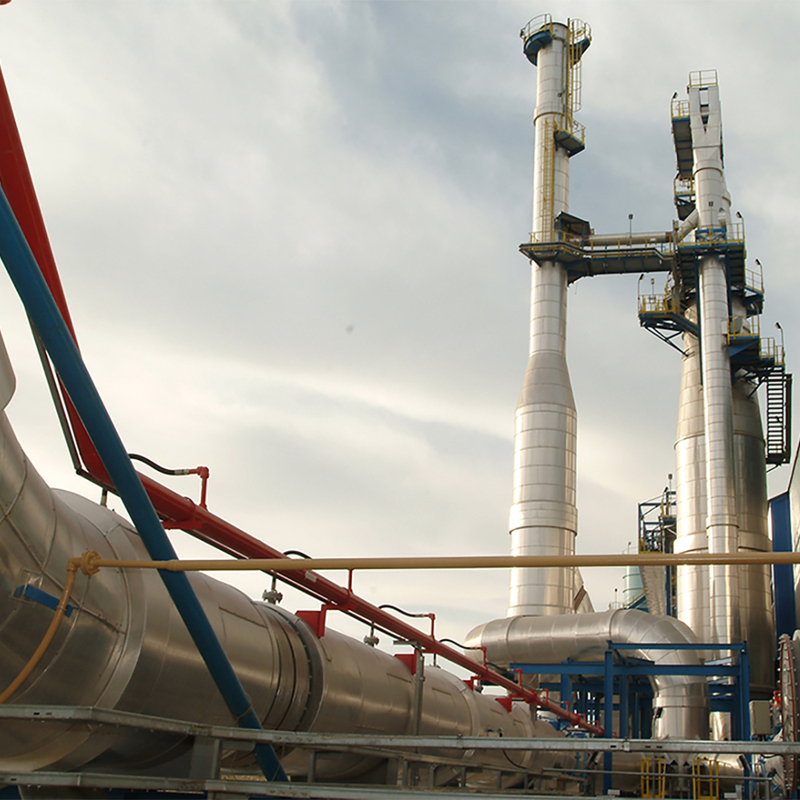 On these gas cleaning processes, according to the project’s needs, Scrubbing solutions are used on the GTC and FTC and Dedusting solutions and Oxidizers are used on the PFTS. 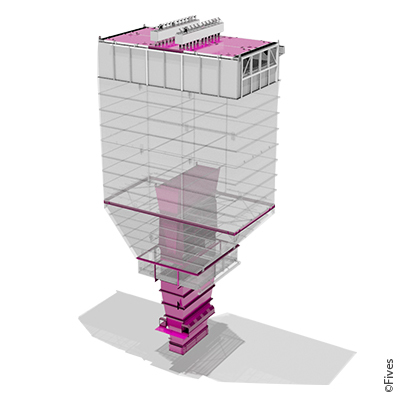 The Gas Treatment Centers and Fume Treatment Centers are equipped with TGT-RI® or Ozeos™ technologies, enable to reach unequalled levels of HF and dust emissions. During the anode production process, CTPV are generated which can be released either by a conventional SONAIR™ filter or by a combination of Sonair filter + RTO. During the anode production process, the CTPV can also be released by a combination of Sonair filter + RTO.